Ten picture books. Really? Just ten? I don’t know if I can do just ten but here’s my go at it. When I pick picture books for my kiddos in the beginning of the year I am looking for short, good illustrations, some rhyming, and repitition of words or phrases that the kids can connect with and read along with me. I also like books with some humor or fun ways text is used. I also pick ones that we can discuss friendship, class rules, being a good citizen, families with during and after I read it. As the year progresses I tend to pick books that go with a theme or unit I am teaching, and those that I know my kiddos will want to get their hands on and read themselves. 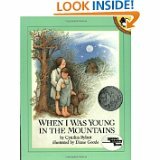 Books that teach and are good mentor text as well as entertaining. Further into the year it’s much of the same, but with a few more complex stories that can be used for synthesis and teaching conventions in writing workshop. And of course I pick them just because I love the authors and have about every book they have written. Or because I just love the story and know my kids will too. 1. 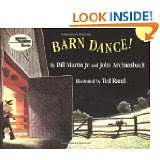 I love to read Barn Dance every fall the illustrations are great. It is written so it can be read in the beat of a square dance. 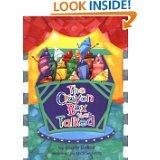 The wording is fun and the kids enjoy the rhythm of the words. 2. 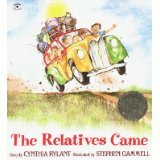 The Relatives Came is a must have for back to school, and the end of the year…and any time in between. It is great to get kids started talking about families, family traditions, and vacations. 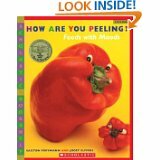 3.How are You Peeling is fun the first few days of school. After we read it the kids make their favorite veggie and put a face on it, then write about how they felt the first day of school. 4. 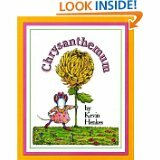 Chrysanthemum is of course perfect for the first days and talking about names and feelings. 5. Love this one and the emotion it evokes. It is great for creating mental images. Night Tree is an old favorite. 6. 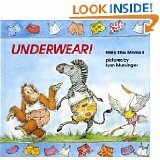 Underwear is a fun book that keeps the kids giggling. After we read it every one gets a pair of “underwear” to design and write where they wear their underwear for a class book. 7. This is a new book I’m going to read this year, but I bet it’s one I’ll have to read over and over. 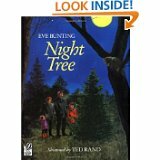 It has great use of text written in a different way, and repetition of a phrase that the kids will want to read with me. 8. Love, Love, Love Silver Packages. I read it for the first time last year and I will read it every year from now on. I used it to connect with kids feelings of Christmas and giving of more than just gifts, and to make mental images. It was great! 9. Ok seeing a trend? Cynthia Rylant is my very favorite author. I just don’t think you can go wrong if you put one of her books in your hands, or the hands of a child no matter what age. 10.The Crayon Box That Talked is perfect for discussing getting along and how we are all different but have some of the same feelings. That’s 10 and that is hard to do because I have soooooo many more that I would love to add. http://reflectandrefine.blogspot.com/ or http://enjoy-embracelearning.blogspot.com/ to see or more post your own. 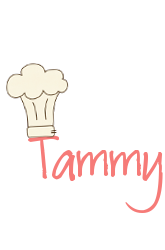 Hi Tammy-thanks for your comment on my list. Aren't picture books terrific? 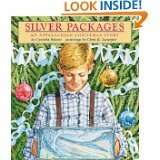 I like your list too, & know many of them, but I've noticed you & others have put down Silver Packages. I've put it on my 'look for' list. What a list; I'll go broke if I buy them all! I also agree that Cynthia Rylant is wonderful-all of them! Thanks for joining us today and I will have to check out Silver Packages. I love Cynthia Rylant, too. 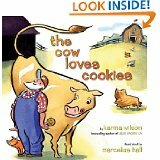 The Cow Loves Cookies sounds like a great read.